Article published in Elephant Journal, March 22, 2018. Our pain has the ability to back us against the wall and show us what matters and what doesn’t. But when we test this stuff out in real life, ideals quickly become totally eclipsed by real feelings, real confusion, and real disgust at how life temporarily rains down its tests. Indeed, “bad experiences leading to good” is a paradoxical notion for the ego. That is, until it meets with enough evidence to prove them true…and perhaps even embraceable. What if we could create that evidence ourselves, instead of having it thrust upon us as a big surprise? What if we could convince the ego that it’s worth voluntarily visiting what is less glamorous for the sake of deeper fulfillment? Here’s an organized brainstorm aimed at that effect. A raw account of some things we might learn if we ditched a life of luxury, gave away 80 percent of our possessions, and surrendered to the complete unknown—in our 40s, no less! Don’t want to do it yourself? Why not have a vicarious look: Click here for full article. This article originally published in Elephant Journal on May 4th, 2018. For those who don’t know, Saturn and Pluto are in Capricorn—and are both retrograde. Note: to be clear, it’s not that the position of the Earth “causes” anything, or that these planets and their positions rain a cascade of “energy” down on us. It’s that those who study astrology can read where they are (relative to each other, because that is key to a retrograde) and what that means according to countless years of people witnessing patterns in human development. First of all, we need to get clear about sensitivity. Sensitive types get exhausted when dealing with others too much, because we (yes, I am one) are highly aware of many levels of behavior happening at once. This is likely because, in childhood, we needed this acute awareness to survive emotionally or physically. As we will see through these retrogrades, extreme sensitivity is both a strength and a vice. We might be shy. We might be calculated. We might be controlling. We might be endlessly thoughtful and caring. We might be a combination of these. But the common denominator with sensitivity is that we get exhausted spending so much time evaluating (or imagining) what is going on—and how everyone feels, and thinks, and is situated—that we need a lot of breaks and introspective time to recover from this. Frankly, these retrogrades “don’t care about” our sensitivity. They want us to get tough for a long climb (Capricorn)! In fact, with a retrograde—when a planet appears to be moving backward relative to Earth due to the way the orbits play together—this is more obvious in all of our interactions and experiences. We are being asked through circumstances to remember, recommit, reevaluate, redo, retrace, restructure, and all kinds of things that demand slowing down. We need to remember and reconstruct what we’ve taken for granted as an unconscious pattern. 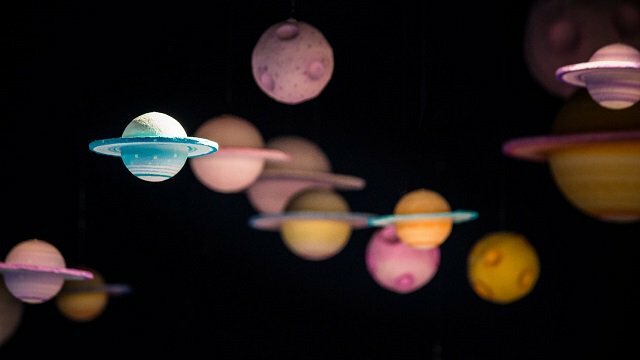 With Saturn (the planet of limits, rules/laws, and time) and Pluto (the planet of unconscious transformation and self-mastery), in retrograding in Capricorn, we are all looking more closely and carefully at the limits around us (based on our individual and collective unconscious patterns). We are called to move forward and up, despite them. We are asked to dig through situations that drill us down to our deepest unconscious motivations and oldest patterns in order to root out, re-lease, and re-structure behavior at the conscious level. This is what one could easily call “dirty work,” because it absolutely requires diving into the shadow of one’s behavior—and through actually dealing with it, discovering unconscious patterns that sorely need attention. As sensitive types, we have to be careful here, because we are likely also more inclined to neurosis or “being hard on ourselves.” In this case, knowing that there is a chance to finally let go of crappy behavioral patterns is more life-enhancing, than identifying with them and beating ourselves up about such a brave process! During a retrograde like this, sensitive types will be forced out of their shells by everything and everyone around them in order to clearly face their limits (Saturn), dig deep inside (Pluto), and work on them (Capricorn in the early first 10 degrees for Saturn and dancing around the early 20s for Pluto, if you want to know how this affects your chart). We will notice more now what we need to do in order to become more conscious—moment-to-moment (Capricorn indicates methodical, tedious work!) to go against our own grain of unconscious reactions and practice transforming them into proactive responses. As sensitive types, we are now reconciling with the help of constant social tests that we must adjust to in the real world (Capricorn and its ruler, Saturn) as it is, now, warts and all, from the inside out. Because it is not going to adjust to us. And yet, Pluto’s “promise” is that this transformative process empowers us and actually does change the world around us at the same time. This means being the change, even if you feel like you are Nelson Mandela in an endless prison sentence to do so. It’s actually the perception of “endlessness” that brings out the true grit and grounds us. Take a careful look at your daily life right now. Do you see anyone throwing a party for your accomplishments? Anyone extremely empathetic to your plight? Anyone responding to your tears, your explanations, your deepest and darkest fears? Anyone stopping the crowd to let you speak? Me neither. Saturn and Pluto are about laws/limits—and the unconscious, respectively. Capricorn, while understanding and even dryly hilarious, is an exceptionally cool, “stern father” of a sign. Capricorn and Saturn get such a bad rap, and yet they are the limits. What is more loving than that person who finally tells us the truth? Finally shows us that we can’t do that anymore and expect anything but the same old problems? Finally shows us the ground? The degree of toughness in the love is a reflection of our life lived to this point. If we have abused the limits too long (even over many lives), the response we draw can take on a brutal tone. Pluto is downright scary in its reputation, because it is the gateway to the underworld of our unconscious patterns. We don’t roll dice and get out of jail free; we actually have to go there. The secret is not to identify ourselves as prisoners so much as wardens cleaning up the place and finding the shadowy parts of ourselves that manifest things that are not in our best interest. The experience, the power, and those outworn patterns hold great potential when one is courageous enough to admit and look at them. Just shedding the light of understanding on them transforms their power. In the case of sensitive types, we’re in a position now where we either need to speak up or shut up. We need to process with increasing speed all this stuff we take in from around us, and decide whether or not it is in our best interest for the long haul. And we need to be clear when it is not. Since we rarely do this, it can be uncomfortable—even terrifying. Especially since there will be little applause or validation around anything. This is truly an inside job (Pluto) that is not as much rewarding (Capricorn and Saturn) as it is character building and fundamental for the next chapters of our lives! We also get to discover that we can’t afford to care so much anymore about the approval or emotional support of others. We are the primary sources of these for ourselves.